LAS VEGAS — Anthony Mantha scored the tying goal midway through the third period and got the game-winner 19 seconds into overtime, lifting the Detroit Red Wings to a 3-2 victory over the Vegas Golden Knights on Saturday night. NOTES: With his assist on Glendening’s goal, Red Wings LW Taro Hirose, who made his NHL debut on March 19 picked up his third point in three games. 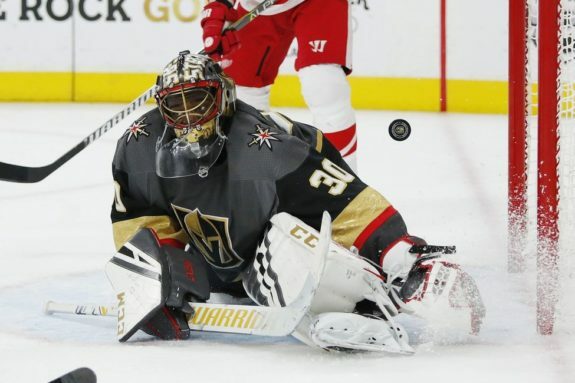 … Golden Knights starting G Marc-Andre Fleury, who was scratched and has been listed as day-to-day with a lower-body injury, and wife Veronique announced the birth of their son, James, earlier in the day.